Nearly every seat in the house is taken. A dozen or so middle-age women and a couple of their flat-footed partners shuffle and clap around the dance floor to the side of the Highway 99 Blues Club’s short stage last Friday. Heart drummer Ben Smith holds down the steady blues-rock beat that sets their pace and lays a foundation for guitarist Ryan Waters’ Hendrix-esque shredding. Fred Pepper assumes his usual perch on the raised bench directly facing the band. It’s the closest thing the no-frills juke joint has to a VIP section and the scraggly bearded friend of the club, who looks like Santa Claus without the milk-and-cookies habit, might be the closest thing to a VIP. His friends call him Freddie and here, at the windowless basement bar under the Alaskan Way Viaduct, the 68-year-old has many of them. “I get more hugs here than anywhere else,” says Pepper, a gentle soul with a thousand stories ready for a friendly ear. Pepper has been coming to Seattle’s only dedicated blues club for almost a decade, an era that will come to an end after New Year’s Eve when the lights go off at the nearly 15-year-old venue for the last time. 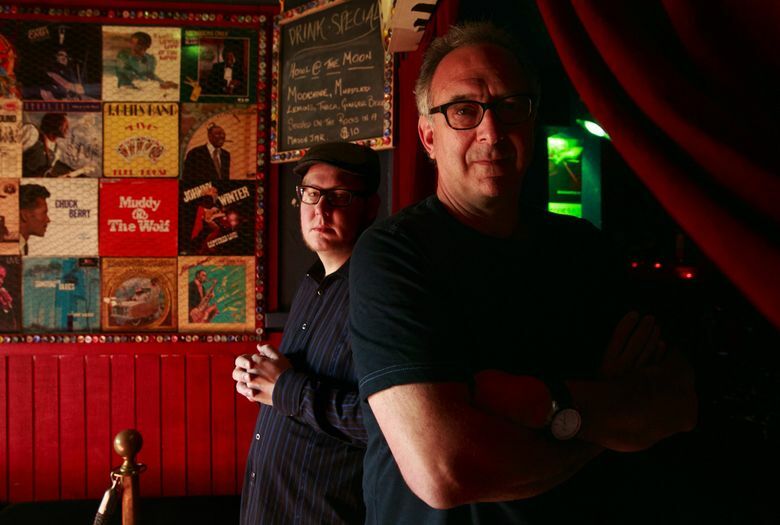 Owners Steve Sarkowsky and Ed Maloney have grown tired of hearing the phrase “stay of execution,” though their blues hideaway has been cheating death for the past three years, ever since their landlord unexpectedly tried to jack their rent up an astonishing $10,000 a month. They managed to negotiate a “considerably” smaller increase for two years, then another yearlong extension after that. But with the viaduct’s looming demolition potentially impacting businesses along the waterfront, the local blues stewards were unable to come to terms on a new lease and will close the club at the end of the year. With the omnipresent threat of Seattle rent hikes, Sarkowsky — a drummer who handles the club’s books and booking — and Maloney had been scouting other locations for the past three to five years, unable to find anything suitable in their price range. They now have only a few weeks left in the funky underground space that, for years, has been a magnet for Seattle’s small but passionate blues community and curious tourists. Fittingly, the Spokane-born Too Slim and the Taildraggers — Highway 99 regulars since playing the club’s first show — return for closing night on New Year’s Eve. After a number of club closures in Pioneer Square, Sarkowsky saw a void in the local scene and opened his downtown spot in 2004, inspired by the classic juke joints of the South and Chicago blues dens. Maloney, a lifelong blues fan who always dreamed of owning a club, signed on a year later, managing the day-to-day operations. They turned the vacant old Godfather’s Pizza space across from the Seattle Great Wheel into a cozy subterranean venue with a barnwood stage backdrop, mechanic’s lamp light fixtures and guitars affixed to the low ceiling. Longtime Seattle musician and artist Sam Pierce watches from the back, coolly leaning against the bar under dim lamps made from old drum heads. Pierce, whose paintings adorn the back wall, remembers many of Seattle’s fabled Jackson Street clubs and made the rounds through old Pioneer Square haunts like Doc Maynard’s and the Old Timer’s Cafe. Still, he considers Highway 99 “the best club we’ve ever had in Seattle,” thanks to its sense of community, ambience and general respect for the musicians. As clubs go, Highway 99 doesn’t like losing its “good friends” either. A few years ago, Pepper tried to cut his beloved hangout out of his social life. Pepper, who’s nearly 17 years sober, started coming in with his cousin as an activity they could share together, even before Pepper became a blues lover. After his cousin moved away, Pepper — a veteran living mainly off Social Security and a small disability check — confided to Maloney that he just couldn’t afford it anymore. Maloney wouldn’t stand for it. Instead, they worked out a deal where Pepper would help out around the club, fixing leaky pipes or helping build that raised bench that’s become his designated spot, in exchange for an open tab. Some nights he’ll leave the club with enough food to divide into a couple meals over the rest of the week. “I’ve made friends [here] that turned into brothers,” Pepper says. As Maloney takes the stage to begin his nightly introductions, he breaks the news of the club’s last night to some in the crowd, prompting a chorus of boos. Rather than bemoaning the economic forces squeezing out the place he’s poured his heart and soul into for more than a decade, he speaks mostly of the connections forged over a love of music and the need to maintain spaces, against the odds, where art can thrive. Part rallying cry, part love letter to everyone who made the Highway 99 Blues Club more than just a liquor license, it was a speech begging to be chased with a shot of Irish — one for the good times. Highway 99 Blues Club’s last show with Too Slim and the Taildraggers, 6 p.m. Monday, Dec. 31, 1414 Alaskan Way, Seattle; $35-$50, 206-382-2171, highwayninetynine.com.